Decorating your home should be a pleasure not a chore and with Louis De Poortere you can do just that. 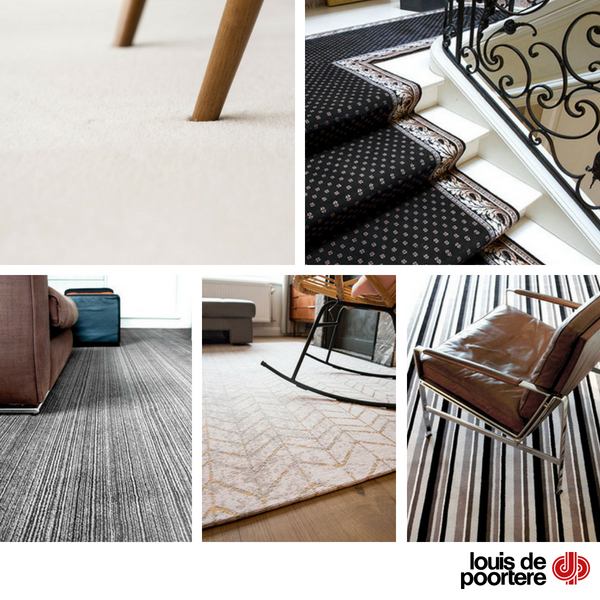 Louis De Poortere specialise in fashionable Carpets, Rugs and Stair Runners that are filled with characteristic colours and designs from vintage, retro and oriental backgrounds. Why Louis De Poortere from Bramley Carpets? Endless design options bringing beauty, elegance, value and comfort to your home. Wilton Carpets are manufactured using the finest 100% 2-ply and 3-ply pure wool yarns for ultimate luxury sustainability. Established in 1929, Louise De Poortere are one of the only manufacturers who produce carpets with their own dying, weaving, spinning and confection process. To see the fantastic designs and feel the luxury of Louis De Poortere floor coverings, please call into our Heaton Moor Showroom today.